Today, the debate about an alternative for the current societal order - based on the twin principles of free market capitalism and representative democracy - is everywhere, with radical social movements such as the Indignados or the Occupy Movement acting as their avant-garde. One of the big problems for these movements is to genuinely engage and mobilize the so-called 99% of the population that is said to be excluded in the current order of high finance capitalism and whose interests are underrepresented in it. This 99% – which is said to include normal, unpolitical people such as the notorious ‘Joe the plumber’ who was all-present in the 2008 presidential campaign in the U.S. in 2008 – is eagerly used by the protesters as a way to prop up their legitimacy and maintain the illusion that their protest is not just the protest of a radical, ultra-leftist minority. However, all and all, and for the time being, the relation between the current resistance movements and this 99% is a rather indirect and traditional one of representation: in avant-garde fashion, the radicals are acting and speaking on their behalf, rather than it being a situation in which the 99% themselves are acting out their frustrations and speak for themselves. The challenge of the current protest movements – and perhaps also its ultimate test – is thus to get the non-radicalized sections of the majority of the population to take an active part into building an alternative society and economy outside the existing ideological co-ordinates of liberal-capitalist democracy. With regards to the mobilization of the discontented, it seems as if right-wing populist parties – at least in European countries such as the Netherlands, Belgium, Austria, France or Italy – are doing a much better job and are succeeding where left-wing politics is failing. Over the past decades, these parties have managed to gain much support from the lower and middle sections of the population, albeit of course with a reactionary agenda (staying for the largest part within the existing framework of free market and representative democracy), a negative concept of change as well as within specific sections of the population. In relation to this success of right-wing and populist politics to win the hearts and minds of large sections of the disenfranchised population, there seems to be a growing awareness among the Left about the necessity to learn from the successes of populist politics and try to beat it at its own game. A recent issue of ‘Open’, a Dutch magazine on art and public space, published in November 2010, attempts exactly that, by proposing an alternative definition of politics as the ‘art of the imagination’. In the introductory essay, sociologist and activist Merijn Oudenampsen develops this notion by defining political struggle in terms of the articulating and re-articulating of stories. In this ‘struggle of narratives’, the winning narrative is the one that best corresponds with the intimate desires of the masses and gives direction to these desires. In this way, political history is shown to be an accumulation of stories that come and go on the fickle cadence of the beliefs of the people. The narrative can go off to the left or to the right, include or exclude different groups, but what matters is the power of the imagination. Writing in the Dutch political context, it is no coincidence that the controversial right-wing and islamophobist populist politician Geert Wilders, who founded and heads the Freedom Party (PVV) since 2006, occupies a centre stage in Oudenampsen’s essay, which analyzes many of his ‘story telling’-tactics. Wilders can be seen as the champion of politics as story-telling. His popular narratives – about the centuries-old battle of the Dutch people against the sea, against the political clique in the political and administrative capital The Hague, against the cultural and intellectual elites living along the old canals in Amsterdam, against ‘Brussels’ and against Islamization – have been extremely effective at mobilizing the Dutch under and middle classes, further eroding the constituencies of traditional Left-wing parties. Inversely, Oudenampsen accuses these parties in the Netherlands (but also in general) of refusing to see that the political struggle is about the power of the imagination to mobilize and impose discipline. Given the failure of the political Left in the Netherlands, Oudenampsen puts forward a new task for radical politics in the Netherlands: new narratives must engage in battle with Wilders’ monopoly on shaping the popular imagination. This can be seen as a political task for Leftist movements all over the world. There are, however, some problematic features about this alternative notion of politics, with certain debilitating effects for political practice. The latter can be best demonstrated by looking into Oudenampsen’s most important, leftist example of politics as storytelling: leader of the American civil rights movement Martin Luther King. 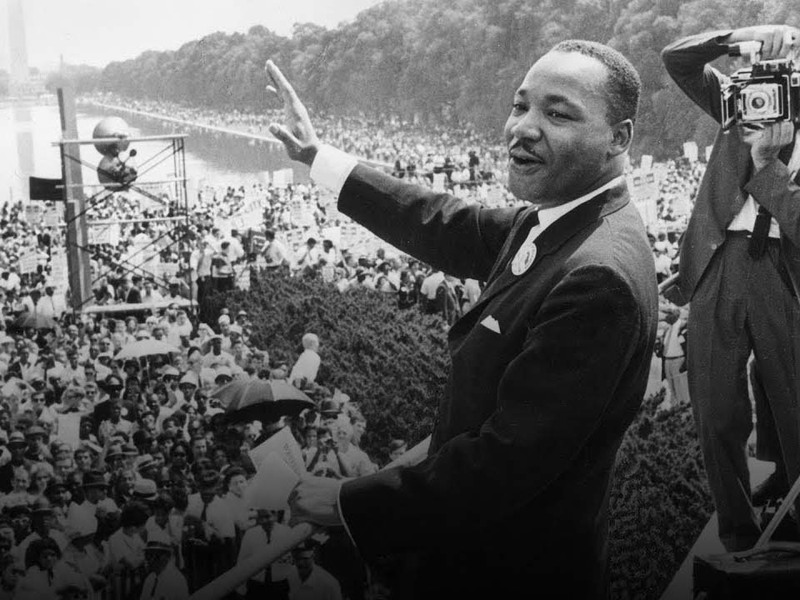 According to him, King’s famous ‘dream’ – in which black Americans also possessed fundamental rights to education, housing and employment – ingeniously re-wrote the American dream and made it universally applicable. We have to strongly relativize the dream-like core of Martin Luther King’s resistance. Or, to be more precise, King centred his dream (and his famous march on Washington, which formed the context of the dream) squarely in reality. At the beginning of his speech, King clearly indicated that he was speaking in the shadow of Abraham Lincoln, who had proclaimed the emancipation of slaves a full century before. A glance at the shameful living conditions of black communities in 1963 revealed that not a great deal had happened over that period with regards to those fundamental rights. The aim of King with the march on Washington was defined in terms of immediately cashing in Lincoln’s cheque for the full emancipation of the black populace that had been circulating for 100 years, but that kept being returned with the message, ‘insufficient funds’. Martin Luther King thus did not simply invent a new narrative, but rather refused to accept or believe that the existing narratives of the state were bankrupt. His primary focus was to connect the deep desire for freedom amongst black Americans to the constitutional ideal of liberty. With his enthusiastic embrace of the American dream and all its official and unspoken promises, King not only had to do battle with white racist groups, but also with his own rank-and-file, who were tempted to retreat into their own black state or surrender themselves to messianic expectations for the future. Now, more than ever, it is this act of creating short-circuits between the prevailing, existing narratives and social reality that needs to be performed by Left-wing politics, rather than inventing a new narrative of its own. In the Netherlands, for instance, this demands of those on the Left to abandon the dream of a multicultural society, which has already often been declared dead not only by populist politicians such as Wilders but also by the traditional parties themselves. Instead, it is crucial to see how populist politics itself is made up of a dream of freedom and responsibility. This offers unique possibilities for the Left – in the spirit of Martin Luther King – to make these liberal-populist daydreams universal and force their realization as a way to achieve progressive goals. The problem here, is thus not so much that the Left is failing because of it lacks the imagination of such figures as Martin Luther King, as Oudenampsen holds. It is rather that the Left lacks the realism of figures as King in order to cash in on Geert Wilders’ bounced cheques. In order to do this, radical politics first has to put its own house in order. The first step is to put to rest its critical reflexes against everything that even bears a whiff of populism. This hypersensitivity generates nothing except the increasing marginalization of radical politics. Step two is to abandon the belief that progressive narratives are consistently recuperated by the populist Right – something that is very present in the essay by Oudenampsen. Martin Luther King proved precisely the opposite, that deeply conservative narratives contain elements that can be put to progressive advantage.